Two years on from their last Australian tour, celebrated Mexican instrumental virtuosos RODRIGO Y GABRIELA return to Australia to play national theatre shows in March 2018. Making their debut appearance at WOMADelaide on Friday 9th March, the duo will take in Melbourne’s Forum on Saturday 10th March, Perth’s Astor Theatre on Tuesday 13th March, Sydney’s Enmore Theatre on Thursday 15th March and Brisbane’s The Tivoli on Friday 16th March. One of the most critically acclaimed acoustic instrumental bands in the world, Rodrigo y Gabriela have sold in excess of 1.5 million albums globally, and have packed out iconic venues around the world, from the Hollywood Bowl and Royal Albert Hall to the Sydney Opera House, Red Rocks Amphitheatre and Paris’ Le Zenith. In January of this year, to celebrate the 10th anniversary of their self-titled breakthrough release, Rodrigo y Gabriela reissued a newly remastered version of the album, together with a never-before-released 2006 live record. Originally released in Ireland, the album is affectionately known to fans as the Crocodile Album, and topped the charts ahead of Johnny Cash and the Arctic Monkeys on release in 2006. 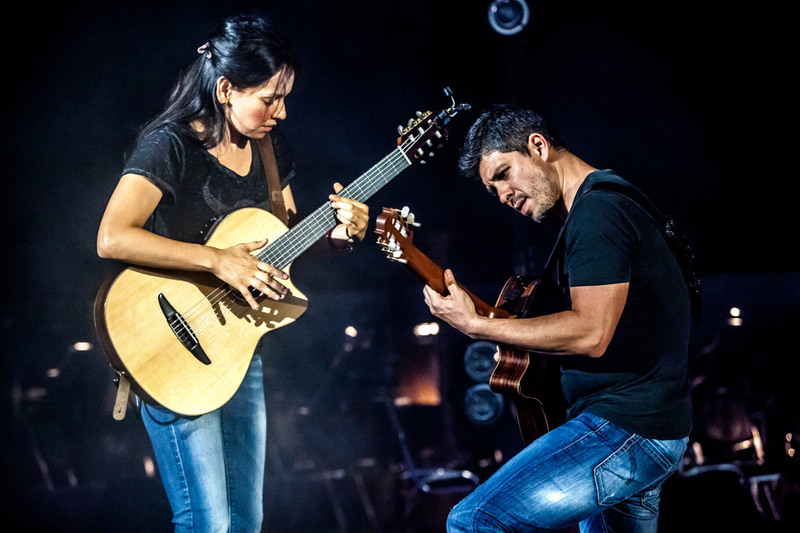 Known for their dynamic live performances, and with roots busking in Dublin before extensive touring and a great word of mouth buzz carried them forward, Rodrigo y Gabriela are without doubt one of the most captivating live acts in the world.